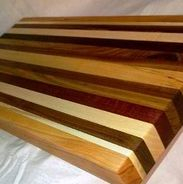 Our handcrafted Cutting Boards are build from a variety of beautiful hardwoods such as cherry, walnut, purpleheart, maple etc. 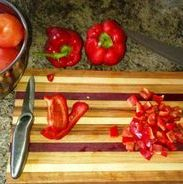 Laminated using a FDA Food Grade adhesive and finished with a beautiful food grade tung oil, our cutting boards are built to last. You can order yours by contacting us by Email or by using the "Contact" tab in the menu bar at the top of the page. 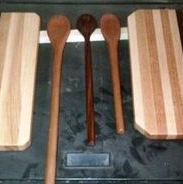 Our Cutting Boards come in a wide variety of sizes and wood combinations. 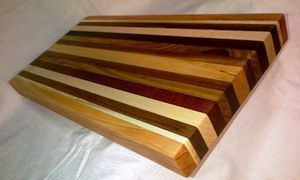 This board was a custom order, 24" long, 12" wide and a full 2" thick. 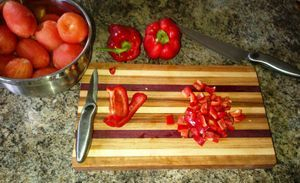 New Cutting Board available and ready to go. Handcrafted here in Thunder Bay. Built with Purpleheart, Walnut and Maple. This beauty is 18.5 inches by 10 inches and 1 inch thick. 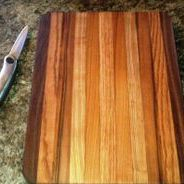 This edge grain cutting board is 14.5" X 9" and is built from cherry, maple, walnut and purpleheart hardwoods. Food grade oil finish. 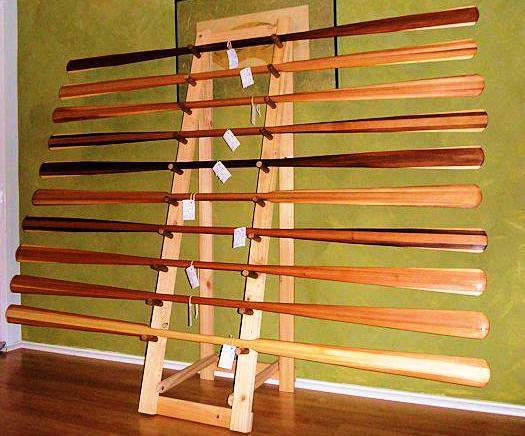 I make a couple dozen of these in various sizes per year. (Veggies was for photo only to give size perspective. Cutting board is new).